like a recommended way to tag fault lines and surface geology polygons. in its own right. It can also be usefully collected by amateurs. would allow experts to quickly and easily make these things. 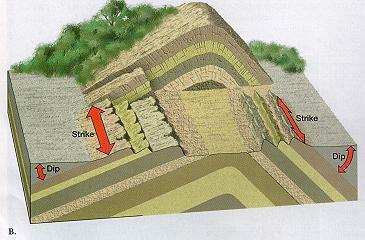 areas may suffer soil liquifaction in an earthquake. (e.g. "the Tunbridge Wells Sand Formation"). 2-D trace is enough for many purposes. don't know of a good video. We could make one. Let's look at the Weald area of the UK, since it is well-mapped. 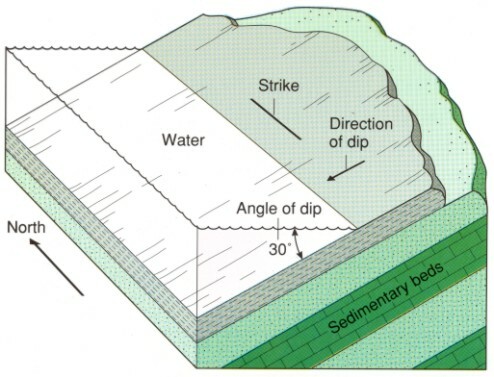 The cross-section may help make the 2-d map make sense. (just gives rock ages, not type). (sand, gravel...) would be enough to start with. upload their maps is therefore low. Classes of students could do it. End infodump, requests for clarification and corrections welcome. and inclination) would be very useful. and input folds (line, with dip inclination), but this can also wait.